The Los Angeles Kings have had a historic run through the 2014 Stanley Cup Playoffs. The Kings are the first team to win three game sevens on the road in a single playoffs. The Kings began their historic run with a game four victory over the San Jose Sharks as they avoided elimination in the opening round of the playoffs. They continued their winning ways in the second round after jumping out to a 2-0 series lead on the Ducks, the Kings went down 3-2 and came back to beat the Ducks in their second game seven victory on the road in these playoffs. 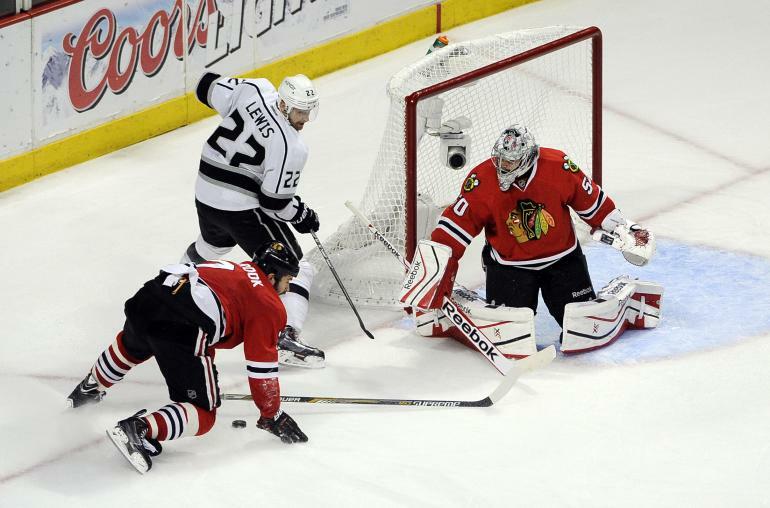 In the Western Conference Finals the Kings with a chance to put the Blackhawks way in six games found a way to turn it a third game seven series winner in Chicago. The Kings I think are tougher then anyone the Rangers faced so far including Pittsburgh and I think the Kings have the edge in this series. Here is how I see this series playing out. Don’t get me wrong I’m rooting for the Rangers, I just don’t think they have what it takes to knock off L.A., as far as I’m concerned the Kings taking home the Stanley Cup is just as unpalatable as the Miami Heat winning in the NBA Finals again. Go Rangers fella!